Many people think buying a motorcycle is as simple as finding one that looks cool. Unfortunately, it isn't quite that easy. There are many things you will need to consider in order to make the right choice. Before you throw all your money at that cool cruiser, ask yourself some questions to find out if it's the right motorcycle for you. Before you decide on a motorcycle based on its looks, there are some things to consider. Start by asking yourself what kind of riding your intend to do. Will you be riding short distances or are you planning a long distance trip on your motorcycle? Do you want a fast ride or something a bit more rugged? These types of questions will help you narrow down your choices. Understanding the different types of motorcycles on the market and their functions will also help. There are four main types to consider, but these categories can be broken down further. Learn more about them below. Simply put, street bikes are designed for riding on the street or paved roads. They include smooth tires with light tread patterns since these will perform better on the road. This category can be broken down further into a few types of models. Standard motorcycles: Standard motorcycles are often also called naked bikes. This is because, as their name says, they are quite basic. They don't include many, if any, extra features so they can be a good place for beginners to start off. Touring bikes: Touring bikes are recommended for longer rides like road trips. Because they often get used for traveling, they are heavier and larger. Their size allows them to provide additional storage space for luggage and better weather protection. Sport touring bikes: These types of motorcycles are a combination of touring bikes and sport bikes. They offer some of the advantages of each one and meet somewhere in the middle. They are sportier than touring bikes but heavier than standard sport bikes. Sport bikes: If a motorcycle zooms past you on the street, it's very likely that it's a sport bike. These are known for their aerodynamic design and the amount of speed they get. They tend to be sleek and compact but not very fuel efficient. Beginners may also take issue with the riding position on these bikes since they tend to require the the rider lean forward. Cruisers: Cruisers are also commonly known as choppers. These bikes are often custom made and are popular among experienced riders. They are quite large, heavy, and can be a bit awkward to ride. No matter what type of motorcycle you invest in, it will need to be well taken care of. This means giving it regular oil changes and keeping up with seasonal maintenance. Luckily, AMSOIL Oil has the perfect synthetic oil to keep your motorcycle's engine in the best state. Contact Advanced Filtration Technologies, Inc. at (701) 572- 3780 to learn all about their products, like their 15W-60 Synthetic V-Twin Motorcycle Oil. If you're not quite sure what an off-road bike is, just think of a dirt bike. These types of bikes are made for rougher terrain and are well equipped to handle it. They are best used over surfaces like grass, dirt, and sand. Because of the type of riding they're made for, they offer better suspension and tires with thicker tread. Their bodies tend to be lighter and include a more simplified construction. New riders should proceed with caution and wear the necessary gear for bike riding and for the conditions they will ride in. Like their name suggests, dual purpose motorcycles are a hybrid of the two previously mentioned motorcycle types. They can be used on the street but are also equipped for light trail riding. They include certain features that make them street legal, such as side mirrors, turn signals, a horn, and headlights. These can often handle hours of riding on paved roads as well as on trails. The touring version of dual purpose motorcycles, however, will be on the heavier and larger side of the scale. Scooters are perfect for beginners because they tend to be quite light and easier to maneuver. They offer a comfortable riding position and great fuel efficiency. One downside of scooters is that they tend to have less power and therefore can't travel at very high speeds. They are great for cruising on city streets, but not ideal for the highway. If you're a beginner, look for a lighter motorcycle since these will be easier to handle as you develop your abilities. Don't go for too much power right away and be sure you can quickly get both of your feet on the ground. Make the necessary adjustments so that it's comfortable as you ride. 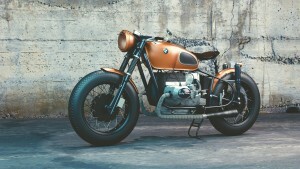 Avoid investing in a motorcycle just because it looks cool and instead start off with something manageable. It's recommended that you start with a lightly used motorcycle so that you can see how much you will actually ride it and what you will need it for. Once you're more comfortable on the road and know exactly what you want, go ahead and invest in your dream ride. If your motorcycle is ready for a synthetic oil change in Williston, look no further than Advanced Filtration Technologies, Inc. for the perfect oil. Contact them at (701) 572- 3780 for the personalized service you need. Don't forget that you can also stop by their online shop to check out their full range of products.